One highlight is this snapshot from the collection of Dorothy Kogita Beagley. This image is from a pre-war picnic of Nikkei community menbers in Seattle, Washington. Pictured are a young Dorothy with her mother’s friend, a Mrs. Sasaki. Looks like they are enjoying their onigiri! 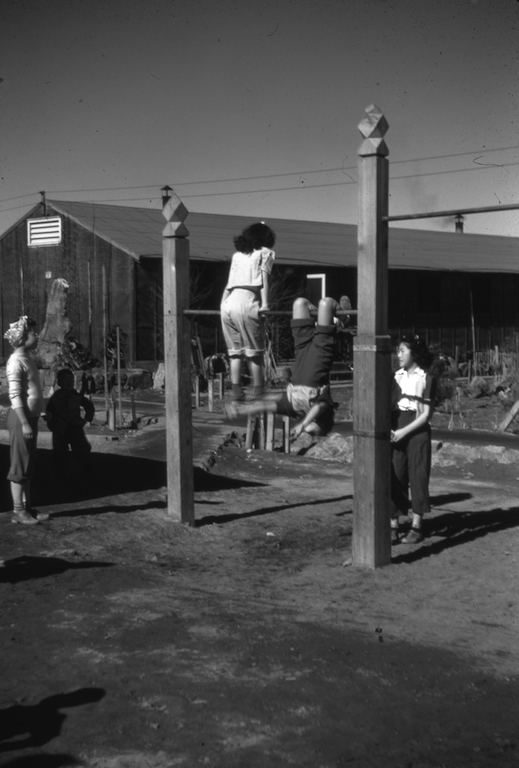 Also pictured is an image of children on a playground at Minidoka., courtesy of the Hideo Hoshide slide collection at Japanese Baptist Church. If you have information about the people in this photo please contact us.